When Intel quietly rolled out its 14-core Core i9-9990XE aimed at extreme desktops earlier this year, the company only planned to sell the CPU to system integrators and only through a closed online auction. We expected that the system integrators would sell them only in systems, however CaseKing has decided to sell it at retail. 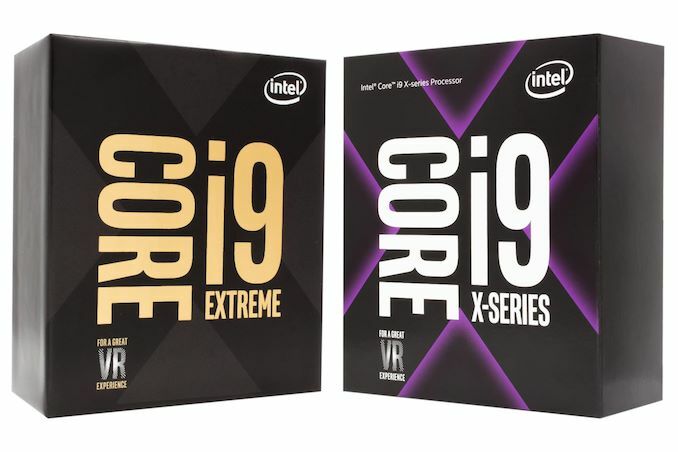 CaseKing.de, a major retailer specializing on high-performance PCs and hardware, on Thursday started to sell Intel’s ultra-rare Core i9-9990XE processor for €2999 (~$2800). The processor is designed primarily for high-end desktops that require maximum single-thread performance out of a multi-core HEDT processor. The LGA2066 CPU packs 14 cores with Hyper-Threading that operate at 4 GHz base frequency as well as 5 GHz all-core turbo frequency, a 19.25 MB L3 cache, a quad-channel memory controller, and 44 PCIe lanes. The Core i9-9990XE has a listed TDP of 255 W and was never meant to be mass produced or made broadly available. In fact, Intel said earlier this year that the CPU was designed “for the financial services industry” and was “built with unique specifications and high frequency to meet the workload needs of this targeted industry”. Meanwhile, there are people from other market segments that could use the power of 14 cores running at 4 – 5 GHz as well, which is why makers of gaming high-end desktops buy them for their premium offerings. Therefore, it is not surprising that CaseKing is making these processors available: there will certainly be extreme enthusiasts and overclockers who would like to try out the ultra-rare Intel parts. 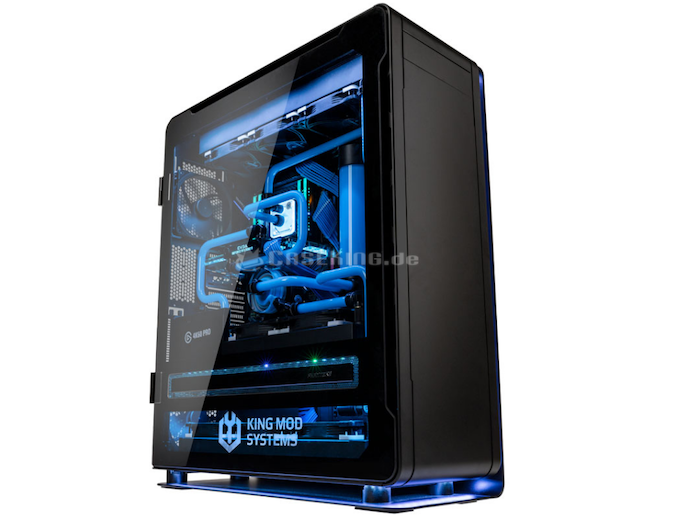 Along with selling the Core i9-9990XE processor by itself, CaseKing also offers an extreme desktop based on this CPU which is actually two systems in one. The King Mod CKPC-843 is actually not one system, but two machines in one case. The primary Core i9-9900XE-based HEDT is used for gaming, with an RTX 2080 Ti and an ASUS Omega motherboard, whereas the secondary Core i5-9600K-powered one is used for streaming with an Elgato/Corsair 4K60 Pro card installed. If you want to stream your games and still enjoy all 14 cores of the HEDT machine, you can dedicate the second Mini-ITX PC solely to streaming. The CKPC-843 costs €12,999.90 with taxes. You have the currency conversion the wrong way around: €2999 is ~$3,380. In Europe it's mandatory to always include all taxes in all prices for consumers. In Germany the standard VAT is 19%. But we're not quoting US prices here, are we? You might see it as a "best guess" at what a retailer in the US would charge but the fact of the matter is there is no US retailer so the $2800 comparison is completely made up. [According to Intel,] [Intel] only planned to sell the CPU to system integrators and only through a closed online auction. [According to Intel, the Core i9-9900XE] was never meant to be mass produced or made broadly available. "In fact, Intel said earlier this year that the CPU was designed 'for the financial services industry' and was 'built with unique specifications and high frequency to meet the workload needs of this targeted industry'. Meanwhile, there are people from other market segments that could use the power of 14 cores running at 4 – 5 GHz as well, which is why makers of gaming high-end desktops buy them for their premium offerings. Therefore, it is not surprising that CaseKing is making these processors available: there will certainly be extreme enthusiasts and overclockers who would like to try out the ultra-rare Intel parts."